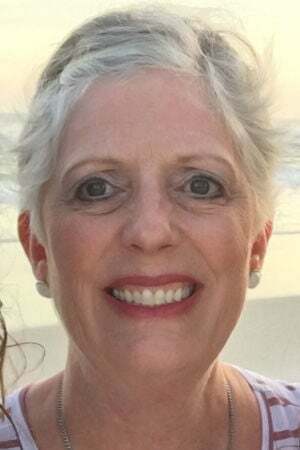 Elaine Kay Whisenhunt, 59, of Bloomington, passed away Sunday (Feb. 10, 2019) at Advocate BroMenn Medical Center, Normal. Her funeral will be at 11 a.m. Thursday at Our Saviour Lutheran Church, Normal, with the Rev. Jeffrey R. Henricks officiating. Visitation will be from 4 to 7 p.m. Wednesday at Carmody-Flynn Funeral Home, Bloomington. A private burial will be at a later date. She was born May 19, 1959, in Bloomington, daughter of Richard and Mary Ellen Simpsen Schoon. She married Jerry Whisenhunt on June 30, 1984. Surviving are her husband, Jerry, Bloomington; her mother, Mary Ellen Schoon, Bloomington; two daughters, Lindsey (Mitchell) Karr, Heyworth, and Laura (Jordan) Flex, Bloomington; and four grandchildren, Brayden and Brody Karr, Heyworth, and Landon and Leighton Flex, Bloomington. Also surviving are two sisters, Lori (Greg) Edwards and Becky Schoon, both of Bloomington. She was preceded in death by her father, Richard Schoon. Elaine retired in October 2018 after 42 years of service at State Farm Insurance Co. She enjoyed outdoor activities, such as camping, snowmobiling, boating and traveling. She looked forward to the family trips to the beach and enjoying their home in the Northwoods of Wisconsin. Her family and friends were most important to her, and she especially loved her time with her grandchildren. Elaine will be fondly remembered by her family and friends for her contagious smile and never leaving a moment uncaptured. All will continue to cherish the memories those photos bring.